All back issues of the Newsletter. A collection of old photo's from Maynooth. Books that have connections to Maynooth. Maynooth Community Employment Project was established in 2001 and is a Department of Social Protection sponsored Community Employment Scheme. The Community Employment Scheme produces a monthly free newspaper (The Maynooth Newsletter) which is delivered to the major estates in Maynooth. It is also available in several locations around the town. The Newsletter consists of local community and political news relating to the area. We also post reports & photographs of local events. The Newsletter is happy to publish articles for local community groups. The production of the Maynooth Newsletter also provides a unique training tool for the participants on our Community Employment Scheme. 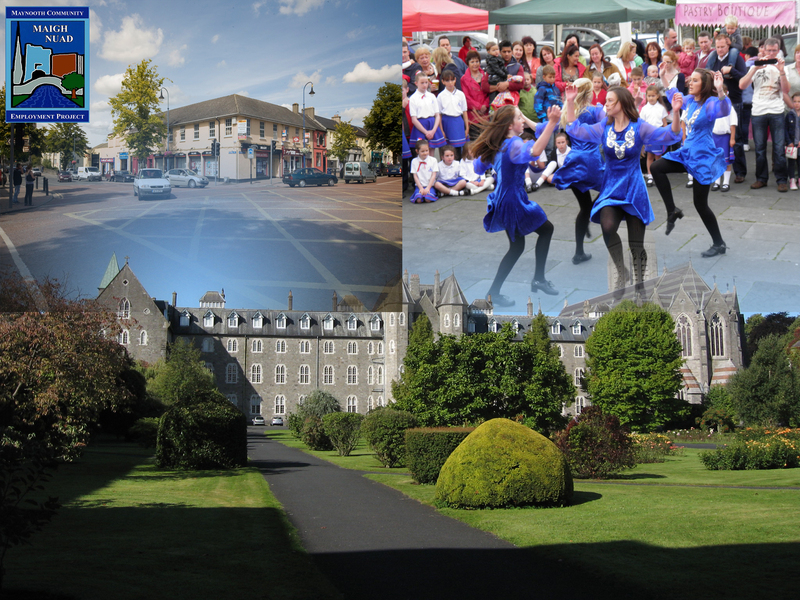 Maynooth Community Employment Project collaborates in organising the St. Patrick’s Day Parade and the Maynooth Summer Festival. They also provide staff to maintain the Harbour area of Maynooth, Maynooth Town Football Club's facilities on the Rathcoffey Road and manage the Maynooth Community Space on behalf of Kildare County Council.